Taunt Electric of Gladwin has joined Bay City’s ESCON Group to better serve the greater Mid-Michigan area. Each of these electrical contractors brings a strong history of family ownership and quality workmanship to this alliance. Security & Access Control to electronically protect your assets. We can handle everything from video surveillance to video conferencing, and home theater wiring to sound masking. From WAN (wide area network) backbones to LAN (local area network) cabling, we provide high-quality installation in the fast-growing fiber optics industry. 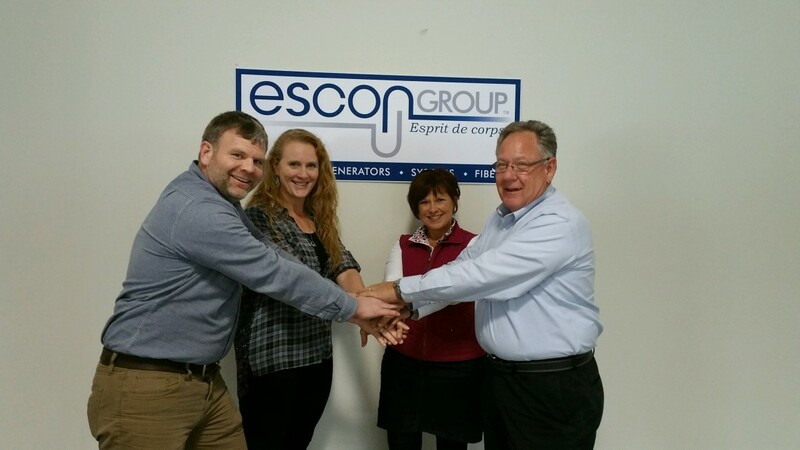 Bill and Xan Sponseller, ESCON owners, are excited to welcome Taunt Electric into the ESCON team. They are confident in this winning combination. “With the joining of forces, Taunt Electric Company, the leading electrical contractor in the Gladwin area, provides an enhanced portfolio of services,” said Bill. Craig Taunt of Taunt Electric said the change is good for the community and good for his employees. The additional services that ESCON can provide are needed in the community. And, like ESCON, Taunt Electric is family-owned and operated. Taunt’s solid reputation is for providing top-quality electrical, lighting and data cabling solutions to commercial, industrial, institutional and residential clients. ESCON will retain the same Taunt phone number. Taunt customers can expect to receive the same high level of service they’re accustomed to getting. If you have any questions about how the merger affects you or your project, please call (989) 426-9306.